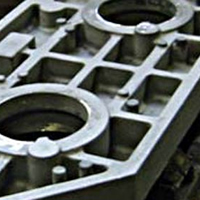 A fixture casting for a large automotive manufacturer. A wooden pattern was produced from customer supplied drawings. Most of the patterns we use are manufactured this way. Casting the mould. 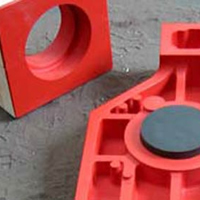 The sand sand system uses an Alkali Phenolic Resin to bind the sand. 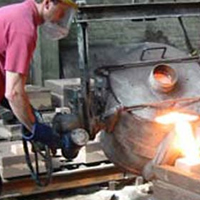 This is used for all of the moulds we make. Fettling the casting. 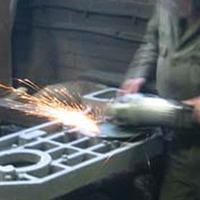 This operation removes the runner and riser system and cleans any flash from the joint line. The casting is then shotblast, sent for stress relieving and finally tested by Magnetic Particle Inspection to check for cracks. No cracks were found. The final casting awaiting collection by the customer.